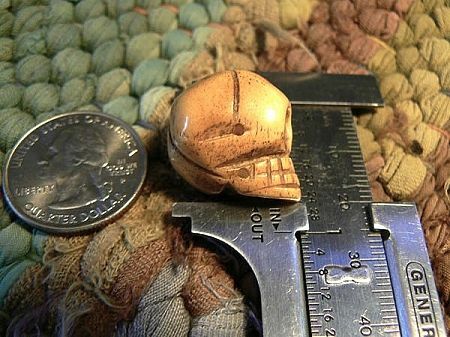 Rustically hand-carved and slightly rounded large bone skull beads. These are sold individually. They have been lightly antiqued and are drilled top to bottom. 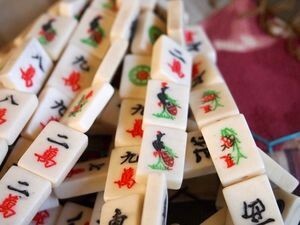 They measure approximately 15mm wide by 21-22mm long. 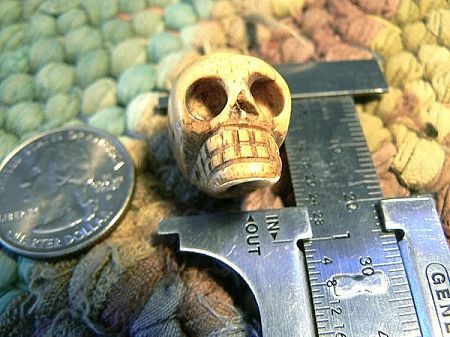 The bone skull beads have a 2mm hole.